I was a little sore after my back-to-back runs over the weekend, so I was thankful for a rest day on Monday. It was too cold this week to exist outdoors, so I went to the gym on Tuesday. This being the first time I’d been on a treadmill in a month, I got to use my Garmin Footpod that I received for Christmas for the first time! This means, my watch recorded everything, and I didn’t have to manually enter my run everywhere when I was done. Yay! I did 3 miles easy with 4 minute running intervals, 1.5 minute walking intervals. 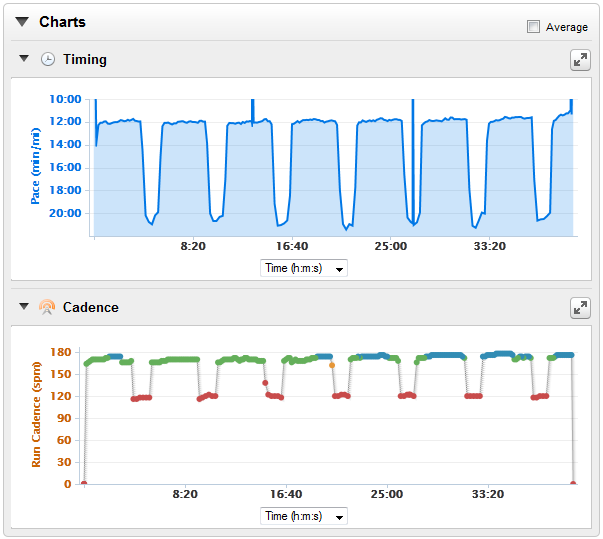 One bonus of using the footpod is you get to see your cadence. That means how many steps you are taking in a minute. The Internet tells me 180 is the number you want to be at, so I was happy to see I was between 170-178 on all my running intervals despite never paying attention to my cadence before. Pretty much right on target! (Except that first one when I was trying to figure out how to time the thing.) I might set up automatic intervals on my watch if I try to do strides on the treadmill again, so that I only have to worry about punching in the numbers. But guess what? After that run, my freaking left hip started hurting! I guess it was already hurting a little from the weekend, but that sealed it, and I was limping for the next two days. Ugh. Stupid hips! I decided to forgo my hill repeats on Thursday (plus it was like 2 degrees outside). I considered going to the gym to do crosstraining, but I ended up hanging out with friends, despite my admonishment that no one should invite me to anything on a Thursday for the next few months. Friday was another rest day, so in total I had three rest days for my hip. However, it was still hurting when I went out for my five mile run on Saturday. The first few miles were spent gritting through the pain. Even though I was running slower than I normally do, it felt like I was actually working harder. Around 2.75 miles in, I told myself that I could quit when I had circled back to my car, which would be about 3.5 miles in. However, somewhere around that point, my leg finally loosened up and I was able to get in my two fastest miles of the run! (And with less effort, since some of the intervals, I actually had a lower heart rate than those when I was running slower.) 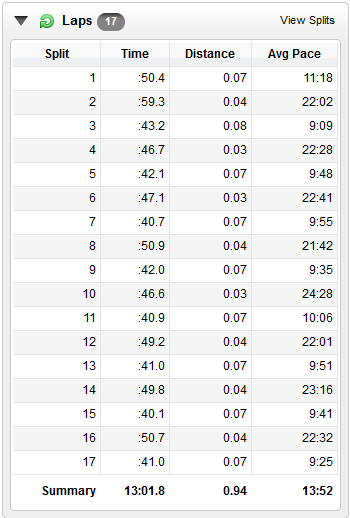 In fact, mile 5 was done in 11:54, while every other mile was over 13 minutes. Which, I know, is not in my “easy run” pace zone, but I was just too happy to be able to run to care. I was in paaaaain after that though. It radiated from my hip down the front of my thigh, and I could hardly move. I didn’t think there would be any way I would possibly be able to do my long run the next day. I even momentarily convinced myself that I had a stress fracture in my femur (though I felt no real pain when doing the hop test, so then I decided that maybe I didn’t). I stretched and strengthened and used The Stick, then went to bed. The next morning? I was fine. There was a small twinge, but nothing like it had been the entire rest of the week. I had somehow fixed it! So, my six mile run went rather well. 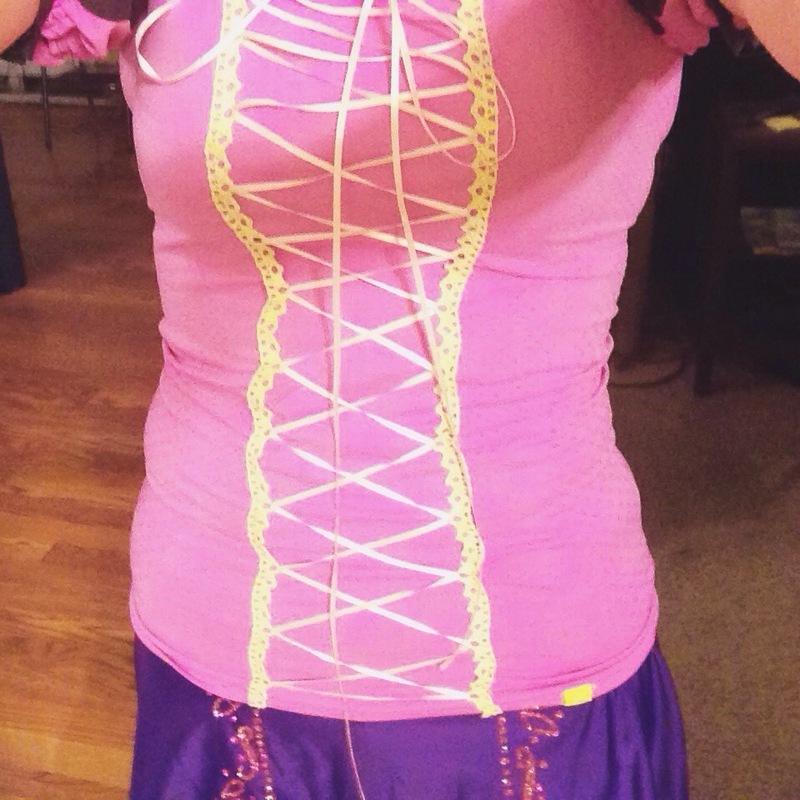 I didn’t feel super strong on it, but that was probably due to the fatigue in my legs from five miles the day before. I did, however, average 30 seconds per mile faster than I had on Saturday, even when running a mile longer and on a much hillier course. The moral of this story? I need to remember to do my stretches and strengthening exercises every day. Maybe then I can keep the injuries at bay this training cycle. I’m switching to Strava’s new weekly stats screenshots because I like how they look better than Nike’s. Monday and Tuesday, we were still in Florida, so all the miles I was putting in was walking around theme parks. 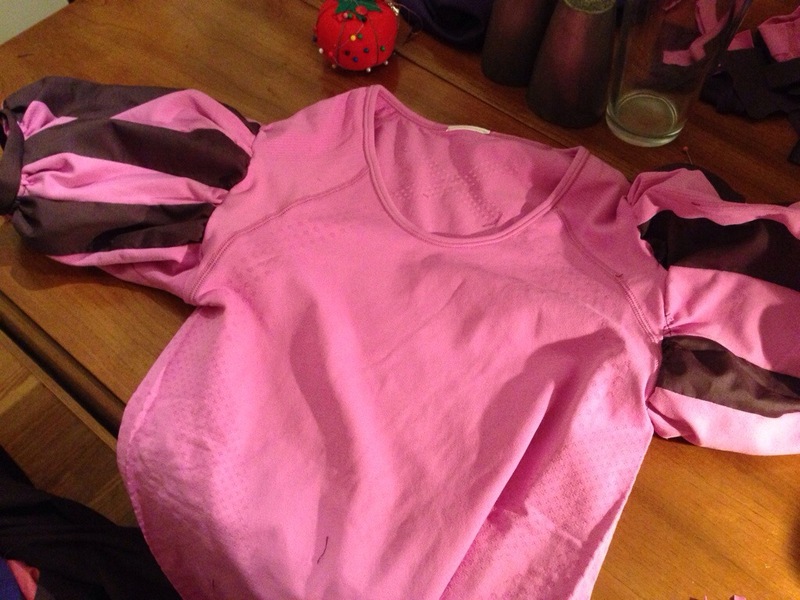 My first run of the week was on Thursday, which is speed workout day. I know I said I was going to do these with the group, but I ended up doing this one solo for a couple reasons. First, they were doing a 2 mile warmup, which I know would have exhausted me before I even started the speed workout. Second, I knew Jonathan wanted to go see “Her” so I wanted to go earlier than the group was anyway. I did a short jogging warmup of about a quarter of a mile, then started my first ascent up the hill. Oy. I wish I would have remembered to hit the lap button on my watch at the top of the hill, but I only hit it at the bottom after I jogged back down, so I can’t tell you exactly how fast I went up that thing, but it looks like I was averaging around an 8 min/mi pace. All of the repetitions (including the jog back down) averaged between a 10-10:30 min/mi overall pace, so I think I kept them fairly consistent. I will try to remember this week to hit my lap button at the top AND the bottom. Anyway, I was finished before the group even got there. I could feel the workout in my quads and glutes on Friday, so I was thankful it was a rest day. On Saturday, I went out to do five miles easy. I have this whole “Couch to 13.1” plan that I’ll detail out later (if it works, ha), but it basically is run/walk intervals like Couch to 5k where the running intervals increase from week to week. This being the first week of training, all of my easy runs were to be done with intervals of 3 minutes running, 1.5 minutes walking. I felt very strong on this run, despite the 20 mph winds and that I was running on a fairly hilly route (low grade hills, just lots of them). I ended up averaging a 12:33 min/mi pace, which is the best 5 miles I’ve had since October and right on target for my easy run pace. 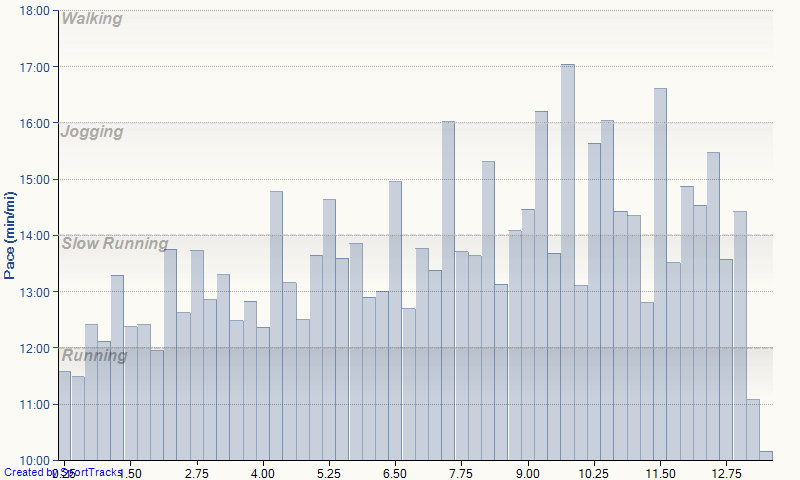 My running interval paces ranged from 10:09 min/mi to 12:15 min/mi, most in the 11-12 min/mi range. Sunday was long run day, which was only 5.5 miles this week. I did the same intervals as Saturday, but I was noticeably slower starting out (well, except for the first mile, which was faster…oops). Actually, my running portions were about on par with what I had been doing Saturday (ranged from 10:36 min/mi to 12:20 min/mi), but I was walking slower on my walk breaks. I could tell my legs were fatigued, but after the second mile, I began speeding up a little each mile, and finished with an average pace of 12:50 min/mi. I actually did a little over the prescribed mileage because I don’t like ending on a walking interval. Not too shabby, considering I really needed to roll out my IT band on my left side (boy, was that sore for some reason!). So not a bad first week of Country Music Half training. I’m a little sore, but hoping some yoga early in the week will help. I’m back from Florida, and I’m happy to report that I survived! Therefore, I didn’t expect to have the greatest race, but just wanted to have fun. 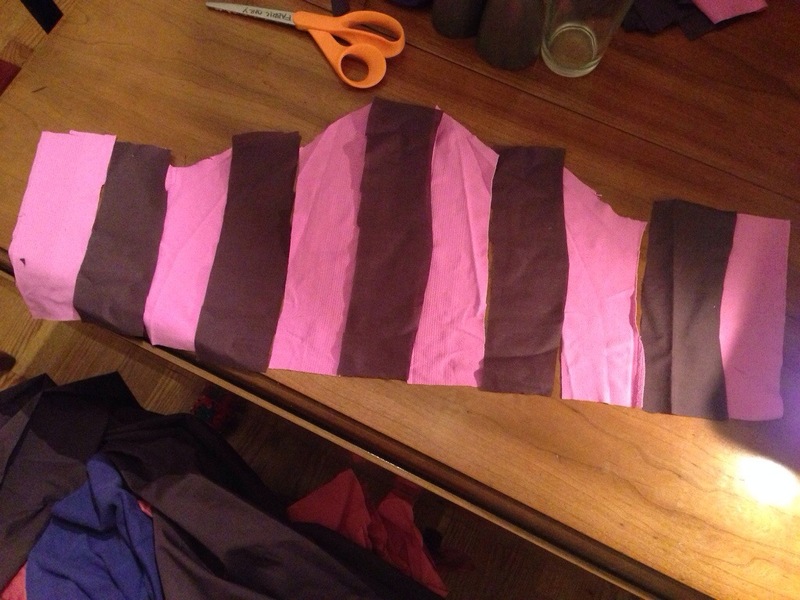 I estimated I would complete it in around 3 hours. We arrived at MCO on Thursday morning and boarded the Disney Magical Express bus to go to our resort. It’s about a 30 minute bus ride, and they entertain you with park information and classic Mickey cartoons along the way. Soon enough we had arrived at the All Star Music resort. We got off the bus, collected our carry-on luggage, and went to go check-in. As soon as we got inside, I reached into my pocket to get my cell phone, whose case also doubles as my wallet. It was not in my pocket. Dread overcame me as I frantically searched all my pockets. It was not on me. I knew I had it in the airport, so it had most likely fallen out of my hoodie pocket on the bus, which had already pulled off to drop off more passengers at a different resort. I ran over to the concierge and explained my problem. He got on the phone with the transportation company, while Jonathan tracked my phone via Find My iPhone. We could see that it was still in the park, so it was definitely on the bus. I was ready to jump in a cab and follow the bus around, but the concierge assured me that they would get it back to me. In the meantime, he checked us into our room, which wasn’t ready yet. The plan had been to go to ESPN Wide World of Sports where the race expo was located, so that I could pick up my bib and shirt. However, the waiver explicitly said you had to have a photo ID with you. Which I didn’t. Because it was with my phone. We walked around the resort a bit, when it occurred to me that the concierge hadn’t taken down any of our contact information. So Jonathan called the transportation company directly and made sure they knew how to reach us. They told us they had found the phone and were headed back to the airport where they would put it on another bus, and I should have it back that afternoon. 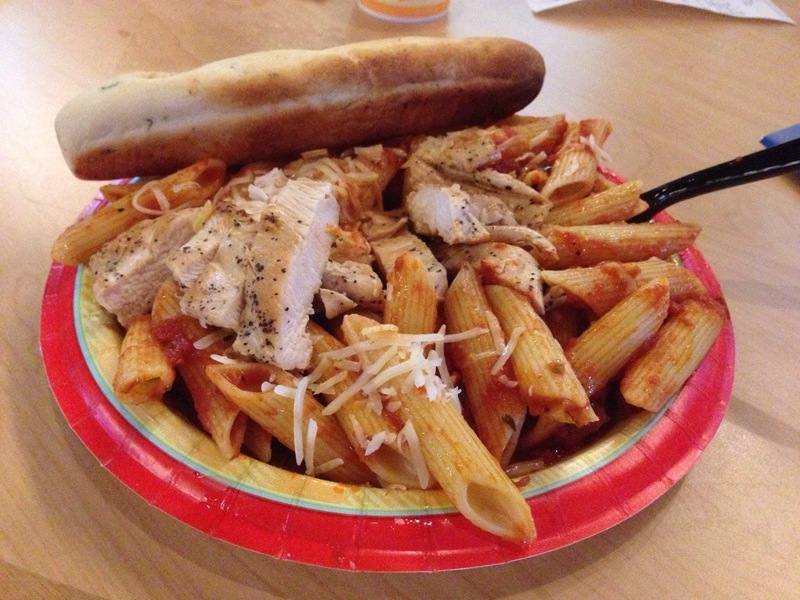 We stored our luggage, grabbed a bite to eat, then headed out to Downtown Disney so I could get my mind off of it. After strolling around the shops downtown, our feet were getting tired (I was still wearing my airport flip flops and they are not made for walking) so we headed back to the resort, even though we hadn’t yet been contacted about our room being ready. It was nearing 3pm by this point, so when we got back, I went and asked them directly. Yes, our room was ready! We went and collapsed from exhaustion. Tracking my iPhone revealed that it was back at the airport, like they had told us. After some rest, we tried tracking the phone again, but it was still at the airport. We called again, and they said it would be later that evening before it got sent back. So we changed our shoes and headed out to explore a bit. We bussed over to ESPN anyway, and I asked Race Relations if there was any possible way to get my race stuff without my ID. They said no. 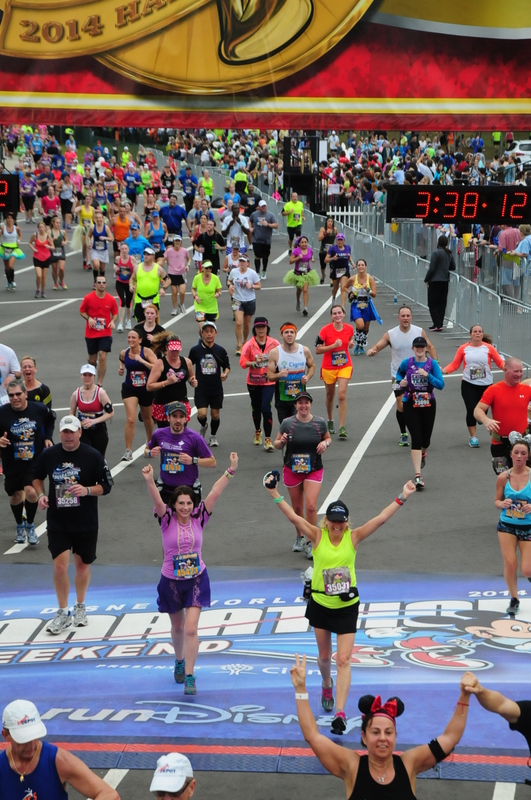 I was beginning to panic at this point that I wouldn’t be able to run the half since I couldn’t pick up my stuff. From there, we bussed to the Grand Floridian, and then caught the monorail, so I could show Jonathan where to go on Saturday morning to watch me race, just in case my phone did eventually show up. We ate dinner at the Polynesian (and I had my first Dole Whip! ), then headed back to our resort. Find My iPhone still said my phone was at the airport. Frustrated, we talked to a Cast Member at the front desk. He double checked that they hadn’t brought it to the hotel, and then offered to give us a complimentary ride to the airport and back the next day if it hadn’t shown up by then. Annoying, since we had plans for the next day, but it was a little comforting to hear. We went back to the room, and Jonathan got a call from the transportation company that they had “found” my phone at the airport and would be delivering it to the front desk around midnight. I went to bed hopeful. The next morning, we were awoken by a knock on the door. It was my phone! Yay! I’d be able to race after all! We visited Animal Kingdom that day and then headed back to ESPN afterwards, where I picked up my race packet and then had a nice pasta dinner before going to bed early. The phone rang at 3:15am with my wake-up call (from someone in “Frozen”, which I haven’t seen, so I don’t remember who it was). 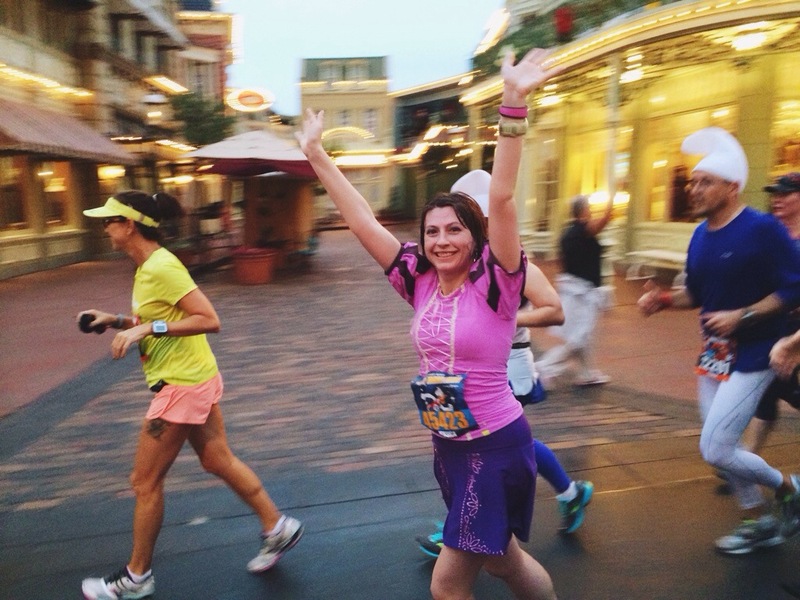 I got up and got dressed in my Rapunzel costume, quickly ate a bagel, popped a Pepto-Bismol, and hurried onto the bus that would take us to Epcot for the start of the race. I considered bothering Jonathan to get a photo before I headed out, but decided to let him sleep the extra hour before he had to get up and go to the spectator viewpoint in Magic Kingdom. So I have no “before” shots with my hair looking cute. All you get are sweaty photos. Sorry. The prep area was crazy. There were SO many people. 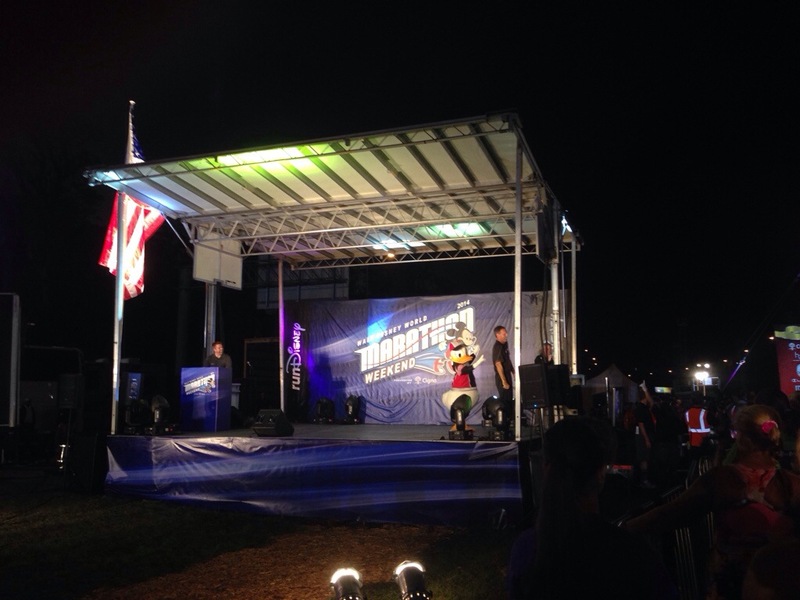 There was a DJ playing music, food trucks, and a ton of bag check stations. I wandered around looking for water, but finding none (that I didn’t have to pay for), I headed to the runner’s only area. And found water. Thank goodness. After that, it was about a 20 minute walk to the corrals. The excitement in the air was palpable. I settled into Corral J and waited for the race to begin. It was around 5am at this point, so I sat on the ground and played with my phone. At around 5:30, the national anthem was played and then the wheelchair start. And then Corral A! They had a big screen projecting what was going on at the front, and, of course, we could see the fireworks go off for every corral. By the time Corral J got up to the start line, it was a little after 6am. Donald Duck counted us down, and we were off! Donald Duck sent us on our way! The corrals were assigned based on pacing from a previous race we had done. The time I had submitted was from the Fourth of July 10k, so I was with the 12 min/mi group. This helped me not start off too fast, I think, though I ran over 0.6 mile before I took my first walk break. I knew I needed to take them liberally in order to make it through this thing, so after that, I tried to keep them to every quarter of a mile. The first mile was good, though maybe a little fast, coming in at 11:52. Did I mention there was 100% humidity? I had sweat pouring off of me by the end of the first mile. Soon we were coming up on the first character stop. It was Jack Sparrow, and there was an insanely long line to get your photo made, so I kept going. 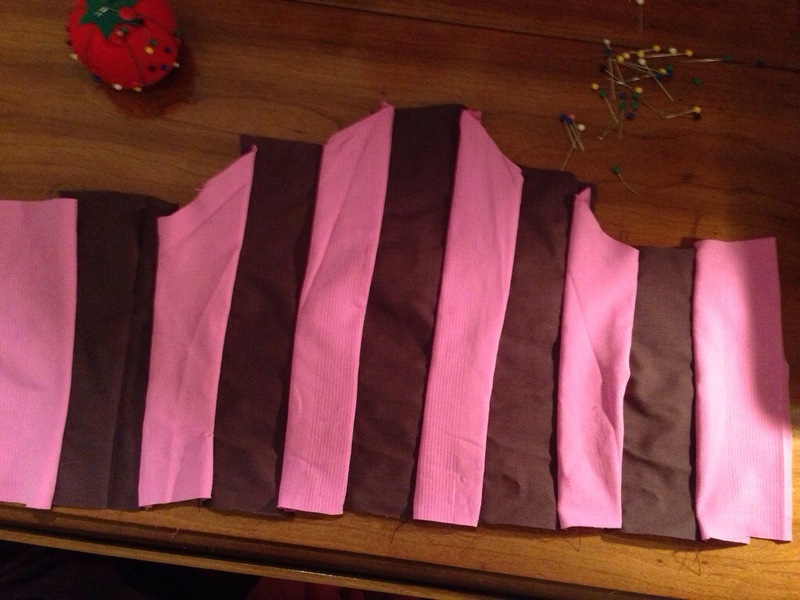 I had a few characters in my head that I knew I would stop for no matter the length of the line: Rapunzel (obviously), Maleficient, and Lilo and/or Stitch. However, I didn’t see any of them on the first stretch of the race, so at the 5k split, my time was 39:37 with an average pace of 12:45. This made me pretty happy. 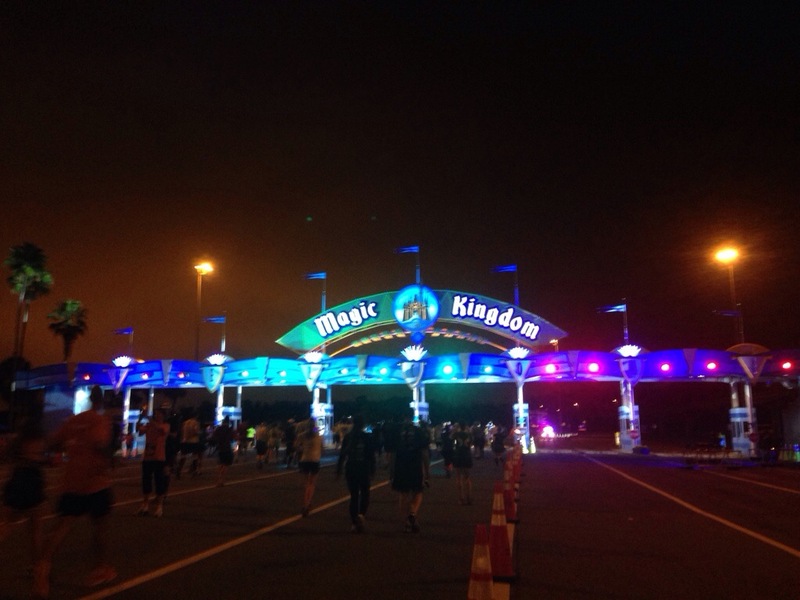 Going into Magic Kingdom, somewhere around the 5k point. We were coming up on Magic Kingdom. We entered from the side and then ran down Main Street, USA. Jonathan was there and snapped a couple shots of me. (Note how sweaty my hair is by this point. Gross.) Running down the crowd-lined street was awesome. We turned through Tomorrowland and then went into Fantasyland. Rapunzel’s music was playing! I look around, excited, hoping she was there to take pictures with. But no. All I saw were Winnie the Pooh characters and Donald and Daisy. 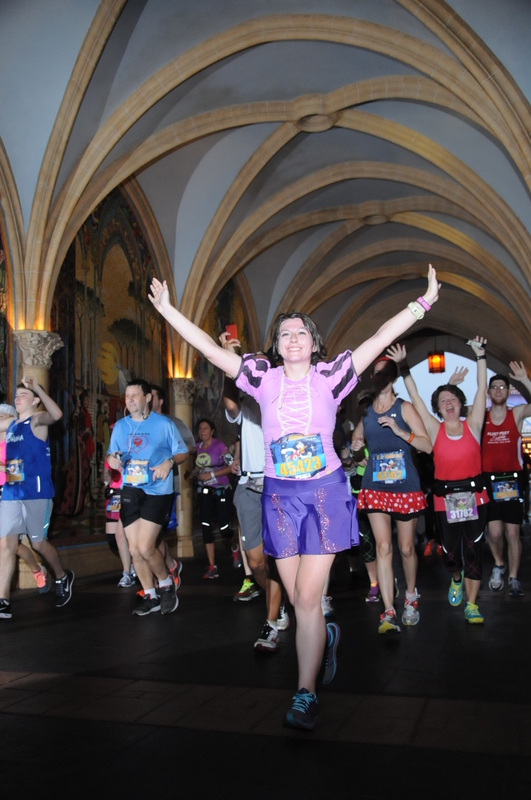 But we were about to run through Cinderella’s castle! Running down Main Street, USA! Running through the castle. 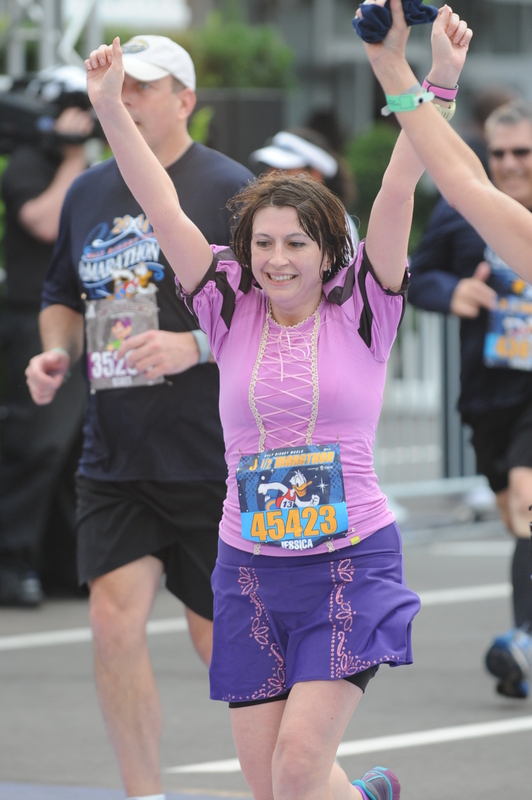 One might think I ran the entire race with my hands in the air. They did a pretty good job of getting everyone who wanted to take pictures in front of the castle off the course, so it didn’t slow anyone down. I didn’t stop, but I kind of wished I would have, since I don’t particularly like any of my running pictures with the castle. C’est la vie. Then we were headed through Adventureland and out of the Magic Kingdom. Cinderella and Prince Charming were there for pictures, but I still didn’t stop. By the 10k split just outside of the park, I was at 1:21:19, with a pace of 13:06 min/mi. So I had slowed down a bit, but was still right around where I wanted to be. This is where the tough part of the race comes. After you leave Magic Kingdom, it’s just kind of blah. You still have over half the race left, but the most exciting part is over. Now you just have road to look at. 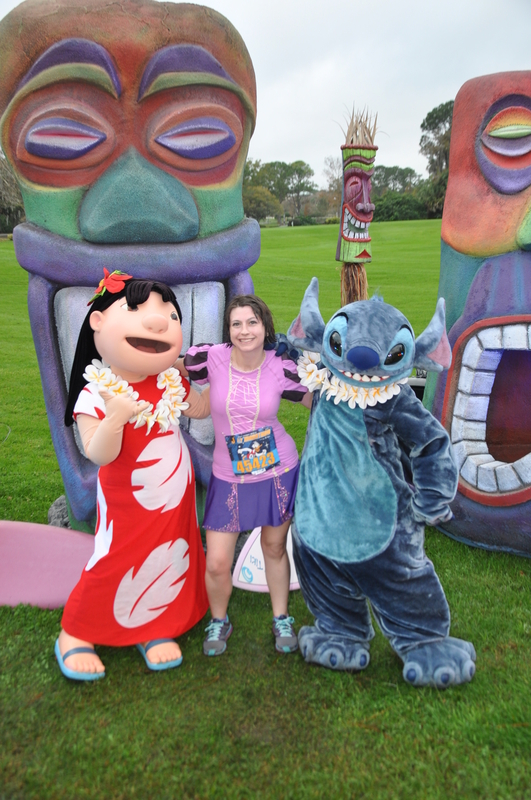 Around 7.5 miles, I came upon Lilo and Stitch, so I stopped for a picture with them. I popped another Pepto-Bismol tablet while I was in line because my stomach wasn’t feeling very happy. The photo stop took about five minutes, but I was soon off again. Right around the 9 mile mark my legs had had enough. My right knee was aching, and I just didn’t know if I could possibly run any more. I had grabbed a Clif Shot at the food stop around mile 8, but it didn’t seem to help much. So I walked quite a bit from miles 9 to 12. Especially on the on-ramps, which are the only “hills” on the course. (I did at least run the downhills; I wasn’t in enough pain to not take advantage of some free speed.) At the 15k split, I had slowed to a 14:07 min/mi pace (of course, that includes my photo stop). 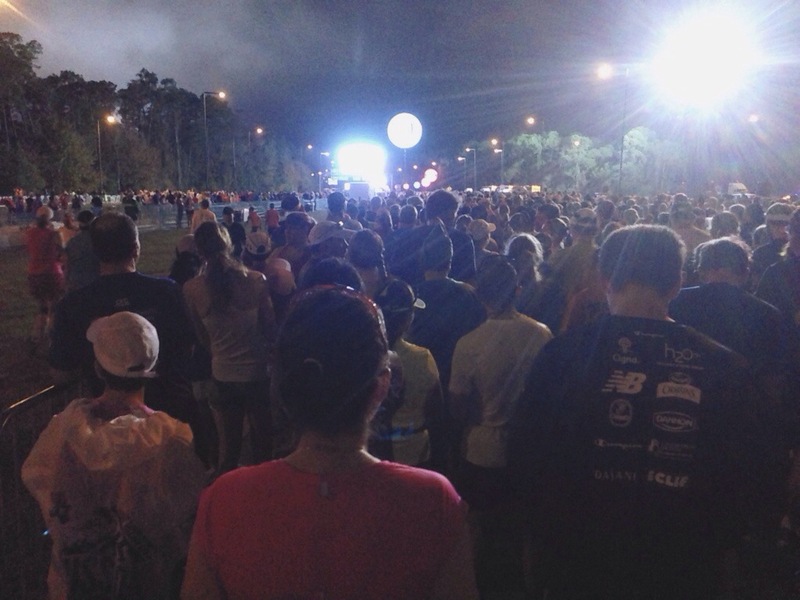 About the time we reached mile 12, we were about to head into Epcot. I saw Jonathan again and waved. He said later that he could tell a remarkable difference between me in Magic Kingdom and when he saw me in Epcot. I was so exhausted! 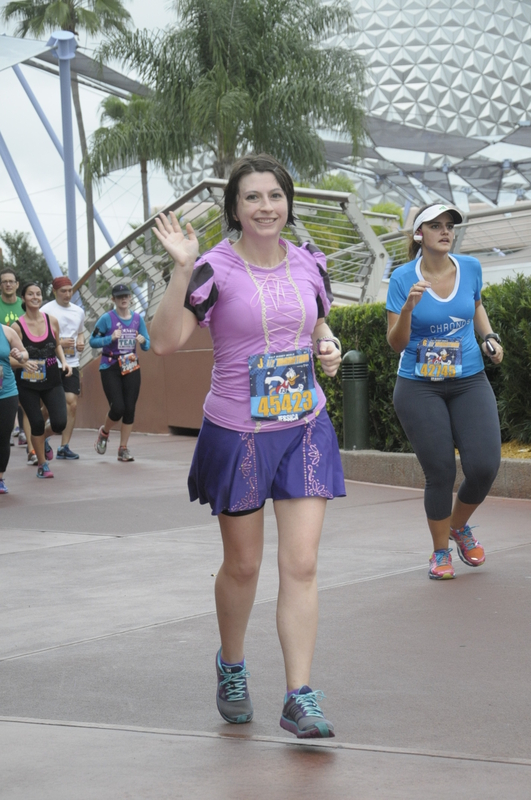 Running through Epcot and happy to be almost done! I kept pushing and ran through Epcot. The park had already opened by this time, so there were a ton of people around. Soon I could see the mile 13 marker! I was ready to sprint to the finish, but I had a long line of walkers in front of me in a narrow area, so I was forced to walk until I could get around them. Finally, I started my “sprint” (let’s face it; by this time in the race, a sprint to me was just under a 10 min/mi pace) and finished the 13.1 miles in 3:07:43! I felt really emotional and thought I might cry, but I think I was too exhausted. I got my medal, collected a water, a banana, and a box of food, and then sat down in the family reunion area and devoured some Skittles and Craisins. Jonathan came and found me and sweetly brought me a rose. So happy to be NOT running! I was ready to be out of my soaking wet running clothes and especially out of my running shoes (I was ready to burn those things in a fire, but we made up later), so we headed back to the hotel, where I showered and changed before we headed back to Epcot to enjoy our day in the park. 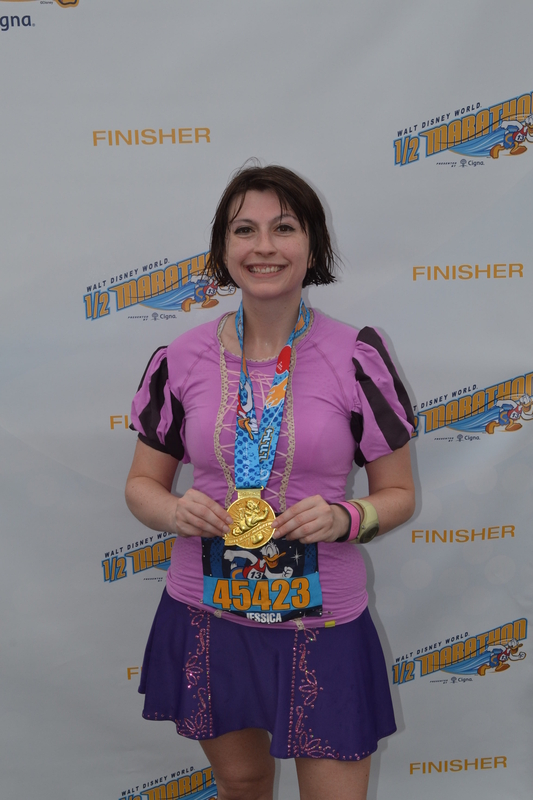 And, of course, I wore my race medal! 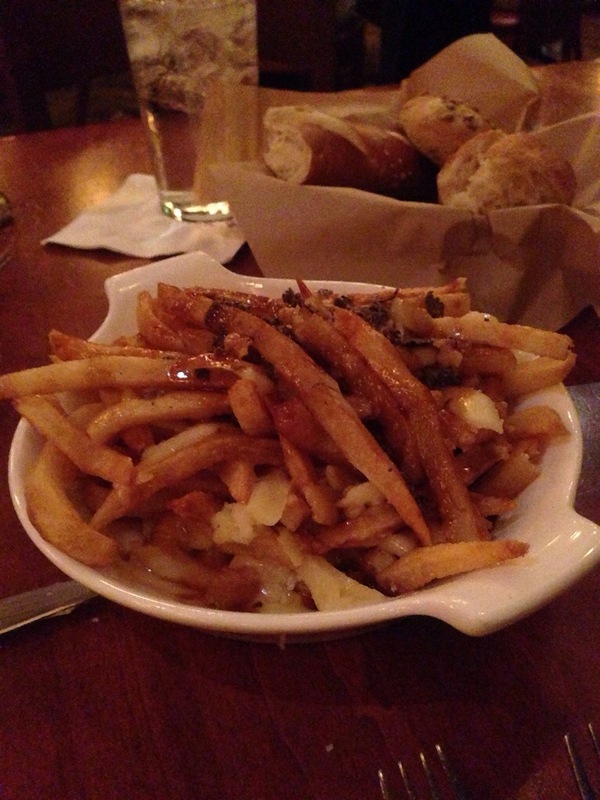 We had a delicious lunch at Le Cellier in Canada, where I had filet mignon and tried poutine for the first time. It was sooo good. I won’t bore you with the rest of our trip, but here’s some pictures! Jonathan was happy to meet Mike Wazowski. All my loot from the Japan Pavilion in Epcot. Totoro! 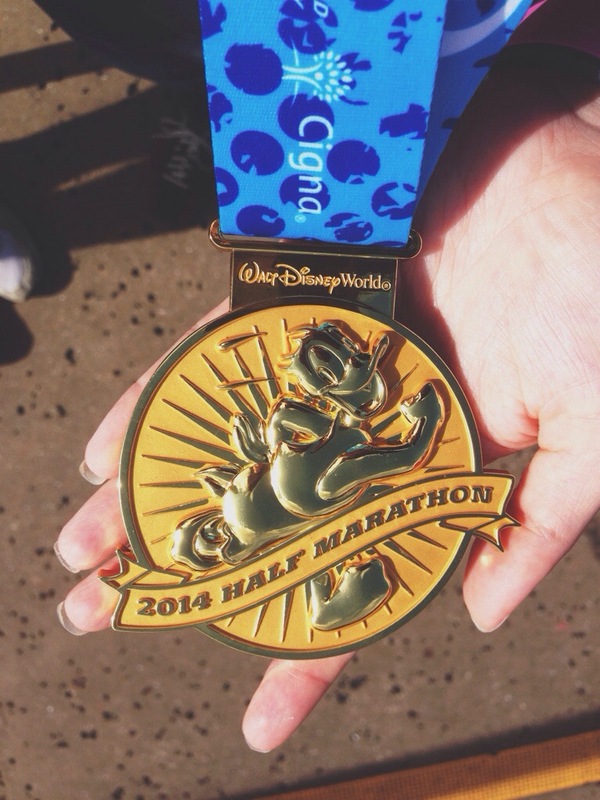 The half marathon was hands-down the hardest thing I’ve ever done in my life, but I did it! I wasn’t trained enough and had to walk a lot, but I made it through! And I was even able to spend three days walking through theme parks afterwards. I actually never got too sore afterwards, which I will credit The Stick with helping, since I was routinely using that thing every morning and every night while we were there. And, finally, here’s my quarter mile splits, which I think shows the ratio of running to walking better than my mile splits. Early on, my walking breaks were usually less than a tenth of a mile, but you can see they became progressively longer, some even being an entire quarter of a mile. It also doesn’t show the three photo stops I made (the first two were short, not with characters), which extended my time by about six minutes total.